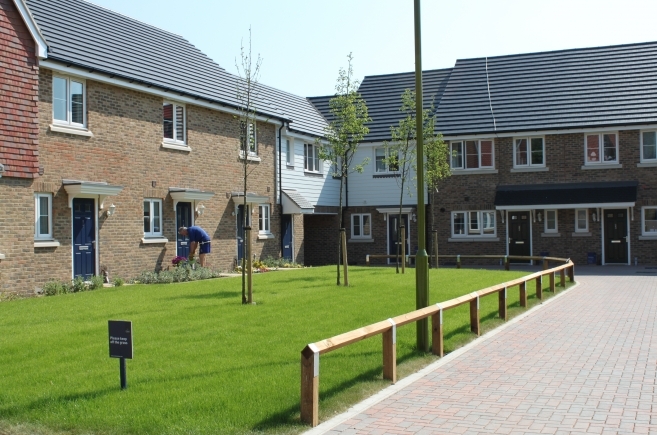 Grafik Architecture were commissioned by Crest Nicholson to produce detailed working drawings for this site in Waltham Cross in 2009 . 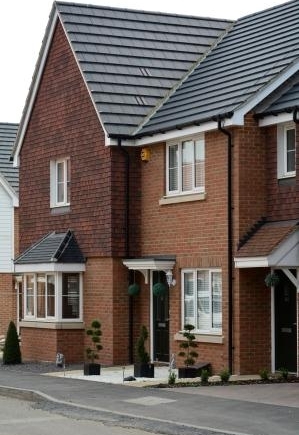 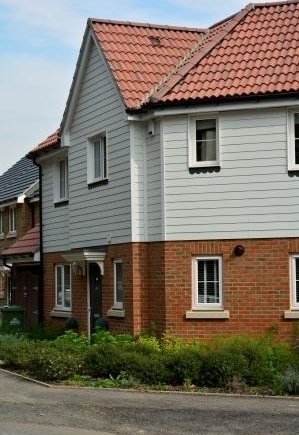 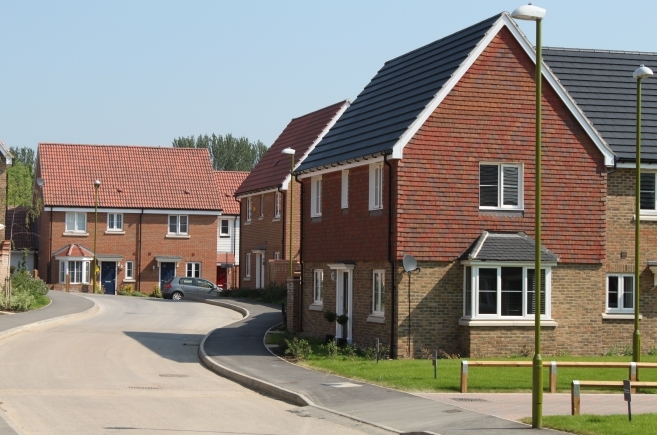 The development of 249 houses and flats has a mix of both private sale and housing association dwellings. 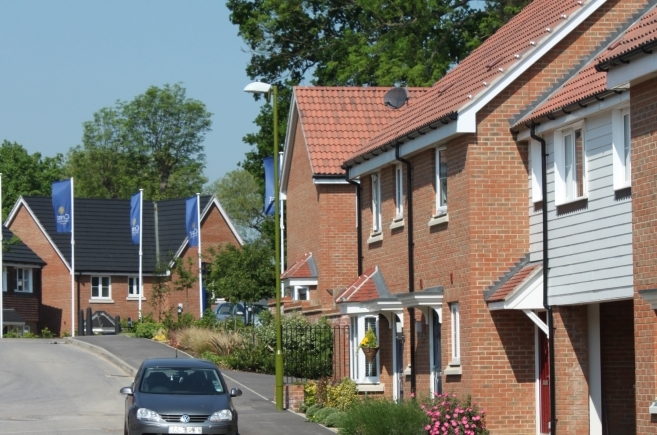 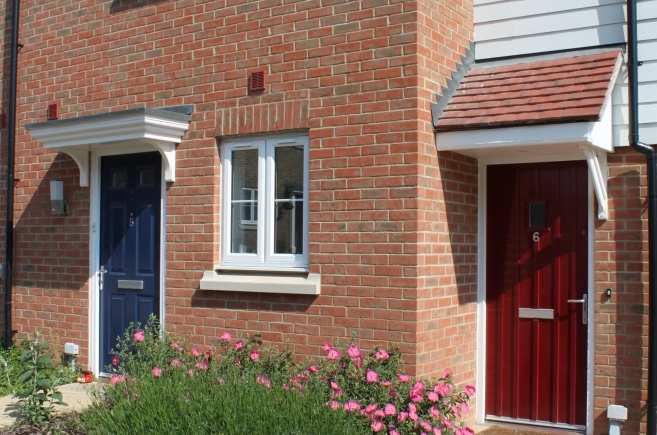 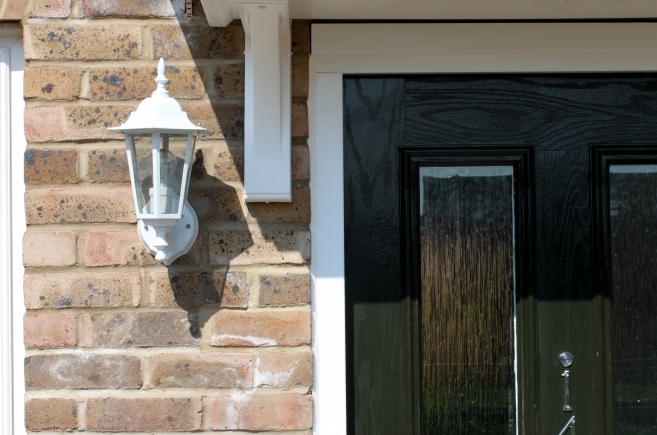 Grafik Energy were also appointed to carry out the Code for Sustainable Homes assessment for the housing association dwellings, and the SAP assessments and EPCs for the whole site. 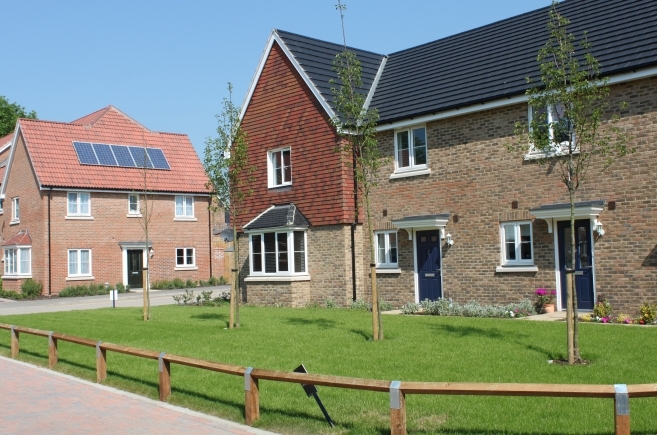 The housing association (both rented and shared ownership) dwellings have been designed and built to Code Level 3, incorporating energy efficient and sustainable measures such as Photovoltaic (PV) panels, Lifetime Homes, Cycle storage, water butts, tree protection, energy efficient lighting and provision for future home offices.